Randy Ellison of west Point, Iowa has spent the most of the last 25 years chasing bass in SE Iowa. He has fished most lakes in the southern part of the state, but his first love is fishing the Mississippi river on Pool 19. 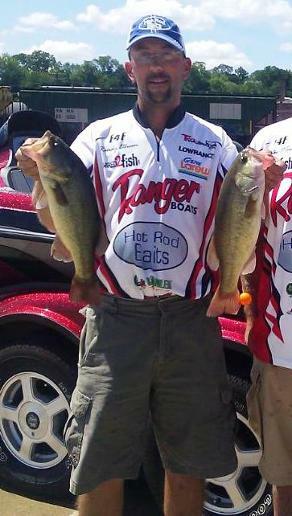 Recently new to the tournament scene he scored his first win in 2012 on the river out of Burlington, Iowa. Looking to expand his tournament resume and you will likely see him around many different bodies of water across Southern Iowa. His favorite Hot Rod Bait is the Big Craw in Natural Craw color.